HÀ NỘI — As many as 125 trainees will be chosen for a geriatric nursing training course in Germany starting in August. The announcement was made by Phạm Viết Hương, deputy head of Department of Overseas Labour under the Ministry of Labour, Invalid and Social Affairs (MoLISA) at a press conference on Tuesday. 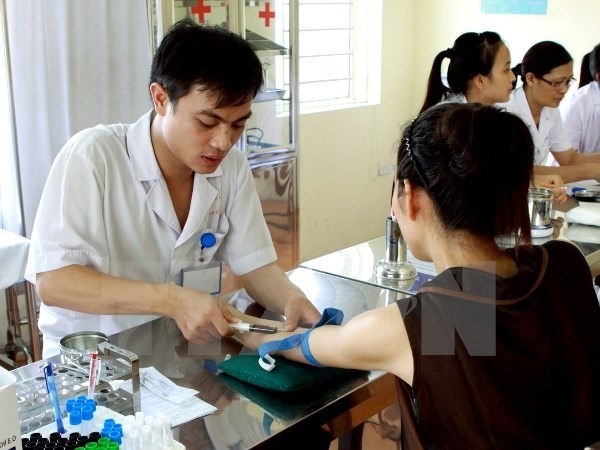 To be eligible, candidates must be between 20 and 25 and must either hold a degree as a college nurse (three years) or have studied the major for at least two years, Hương said. Students wanting to work as nurses in Germany must hold German language certificates issued by the Goethe Institute and complete relevant training courses in the European nation. In accordance with German Employment Ordinance, graduates of recognised vocational training programmes completed in Germany for a state-certified occupation may be granted a residence permit upon completion of their training. Chu Thị Phương Nhung, co-ordinator for the nursing training project at the German international co-operation agency GIZ, said demand for caregivers is high in Germany and the Europe Union. “This is an opportunities for Vietnamese labourers to study and work in high-quality human resource market,” she said. It is estimated that Germany will lack about 17,000 nurses to care for elderly people, sick and children by 2020. The MoLISA and Germany’s Federal Ministry of Economic Affairs and Energy has implemented a pilot programme to send Vietnamese nurses to Germany for training and work in taking care of elderly people since 2012. Last year, the programme was extended to cover the care for the sick people.